Great battlefield views: Sassoon's Opera Box above Fricourt, Caterpillar Valley from just east of Montauban, the Cockpit located by Martin Middlebrook, and the Somme from Montagne de Frise. The Third Army attack against the Gommecourt Salient — truly a microcosm of the whole 1916 campaign. Battles within battles: The Australian Corps at Mouquet Farm, the Canadian Corps against Regina Trench, the German stand at Guillemont, The late assault along the Ancre by the Naval Division, and the uniquely clever (for the Somme) capture of Bazentin Ridge. About France's role: Their initial assault down both sides of the Somme; their superior use of artillery; the double advance in September with the Sixth Army supporting the British push, while the Tenth Army headed to the southeast where Foch wanted to attack all along. And thank you Teddy Colligan, Master of Ulster Tower and Thiepval Wood. We were fortunate to join a group led by Teddy during which he clearly showed us how the 36th Division got to Schawben Redoubt on 1 July 1916 doing things their own damn Irish way and then suffered for their unique success. 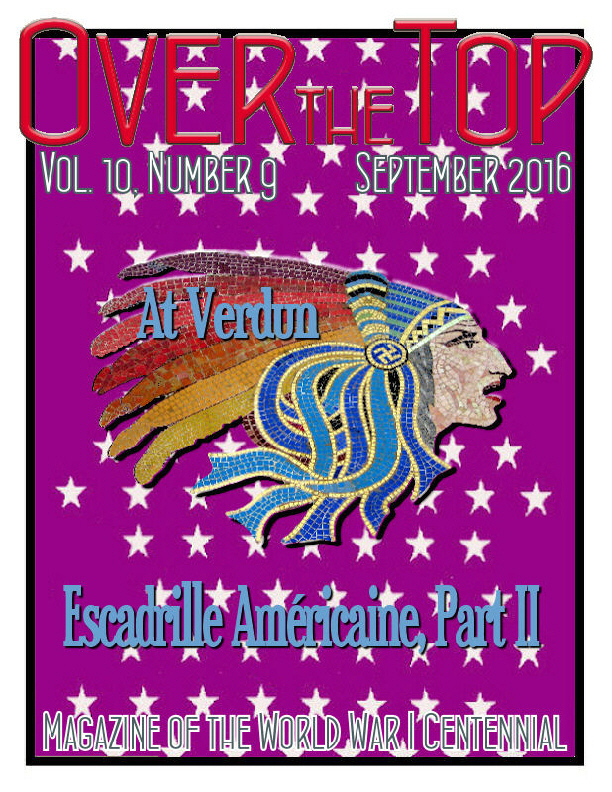 Subscribe for 2016 Now All of our back issues with many special extra features on CDs can now be purchased through PayPal. I found in Mametz Wood a certain cure for lust of blood. While the great battles of 1916 were being waged, little noticed but irresistible forces were converging in Russia that would shape the rest of the war and remainder of the 20th century. Where Were the Hawthorn Mine Photograhers? Photographer Ernest Brooks and cinematographer Geoffrey Malins recorded the most famous images of the Battle of the Somme at 7:20 a.m. on 1 July 1916. In May I was able to visit the location where they observed the explosion. It is on a sunken road used by elements of the 29th Division as a jumping off point that morning. The sunken road is immediately west of the village of Beaumont Hamel, just off road D163. Last month I wrote about the importance of including regional and local experiences in America's World War I Centennial commemoration. 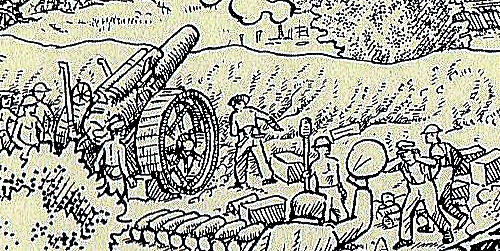 In this column I focused on the research and information being made available in new books and online covering this dimension of the country's war experience. Another aspect of the war's heritage at the below-national level is our aggregation of WWI memorials. Again, I'm talking about state and local monuments, but I'm expanding that a bit to include the battlefield memorials we have overseas. 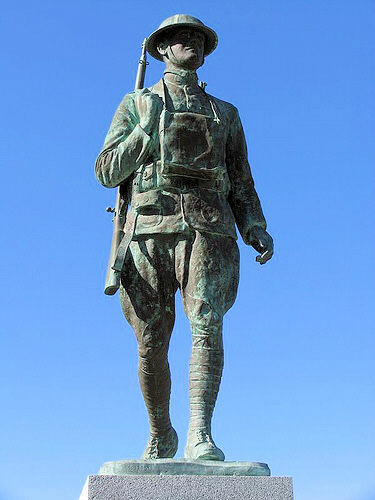 For World War I, this collection encompasses thousands of statues, buildings, and even sports facilities. Each of these provides opportunities to honor the fallen, remember the sacrifices of those who served overseas and kept the home front functioning, a place to hold commemorative events, and something concrete to teach young people their heritage and respect those who came before us. Also, some have fallen into disrepair and their restoration can both stimulate interest in the war and reinvigorate a community's "Can Do" spirit. 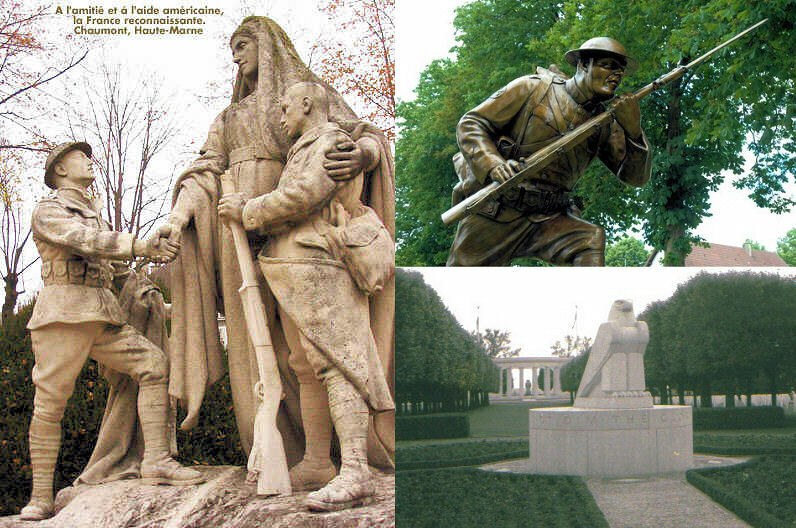 Here are three approaches being taken to build interest in the Centennial commemoration by focusing on our World War I memorials. The U.S. Centennial Commission and Chicago's Pritzker Military Museum & Library have launched a new initiative ahead of next year's centennial commemorations to restore old World War I monuments. 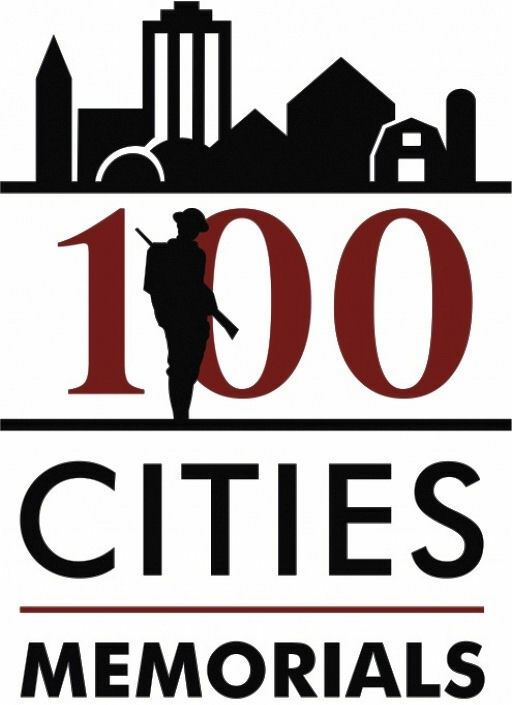 The project, 100 Cities/100 Memorials, is encouraging anyone with an interest in renovating war memorials across America to come to the Commission and its partner bodies with their ideas. 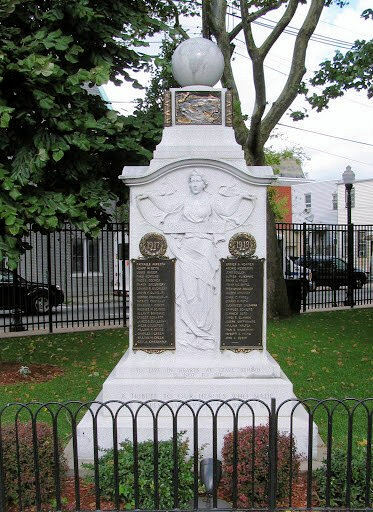 Any municipal government, individual or organization interested in restoring an existing WWI monument is eligible to apply for funding — and likewise any company or person willing to sponsor the drive is being urged to come forward. Grants of up to $2,000 each in terms of match-funding are available for any approved scheme; but it's also hoped that that funding might rise over time if the hoped-for extra sponsorship and donations do start to flood in. The restoration project has the backing of the American Legion, whose founding charter pledges the veterans' organization to that very task of preserving "the memories and incidents of their associations in the Great War." In restoring the monuments and memorials, the organizers of the initiative say they hope not only to honor the names of those who served, but also to help raise awareness of the conflict as a crucially important event in modern American history: representing as it did the first real time the United States had operated on the global stage in a full military and political capacity. The organizers say they hope 100 Cities/100 Memorials can act as a fitting recognition of the role played by servicemen at the time. Kenneth Clarke, President and Chief Executive of the Pritzker Military Museum & Library said the restoration drive was a timely one in all senses: "The words 'Lest We Forget' appear on World War I memorials across the nation. Sadly, however, many of these memorials are in need of repair and restoration, in this, their centennial year." The Centennial Commission believes the program is well-suited for community-service projects hosted by schools, scout troops, veteran groups and other local history and cultural organizations. Executive Director of the Commission Dan Dayton said: "Doughboys came from every town and village in the U.S. This program gives the Commission a way to say thank you in a very tangible way." The sponsor organizations have teamed with the World War I Memorial Inventory Project, a nationwide database of sites across the United States, to help identify where monuments are located, and what condition they are in. The 1920s saw an explosion of interest in football with the founding of the National Football League and college football attracting huge crowds. New stadiums were needed and many of them were dedicated to the veterans and fallen of the recent war. A good number of these are still standing, usually remodeled somewhat from the original structure. Mark Levitch at the World War I Memorial Inventory Project has begun documenting these, including Kansas University's Memorial Stadium. View what Mark has inventoried to date and submit information to him on additional venues HERE. 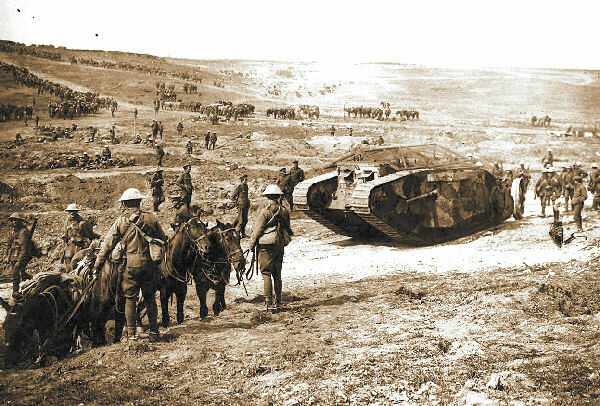 The Battle of Flers-Courcelette, an attempt to restart the Somme Offensive of 1916, stands out in the broader memory of the First World War due to one principal factor: the debut of the tank. Most historians who write of the action focus on the tanks as its central feature, and most of them are quite critical of their effect on the battle. For example, the chapter on the 15 September attack in Martin Gilbert's The Battle of the Somme (2006) is titled "The arrival of the tanks: 'We are feeling top dogs.'" Similarly, Robin Prior and Trevor Wilson's The Somme (2005) discusses Flers-Courcelette in a chapter titled "Lumbering Tanks: The Battle of 15 September." Such works are in agreement about two principal conclusions: the attack was not a stirring success, but it did showcase the potential for the tank as an offensive weapon. 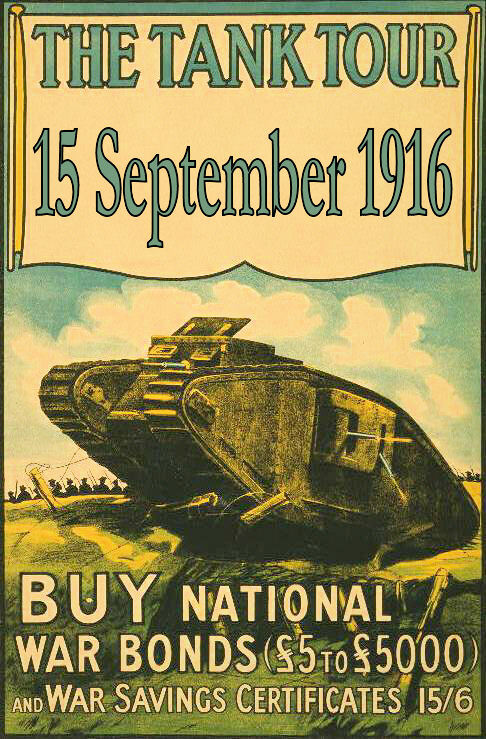 The British official history discusses the many shortcomings of the tank on 15 September but concedes that the battle was a "valuable tryout" for the possibilities of tank assaults. J.F.C. 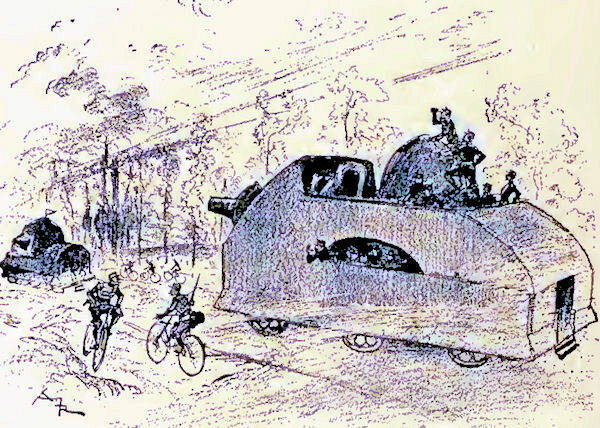 Fuller was similarly unkind about the tanks' initial performance. 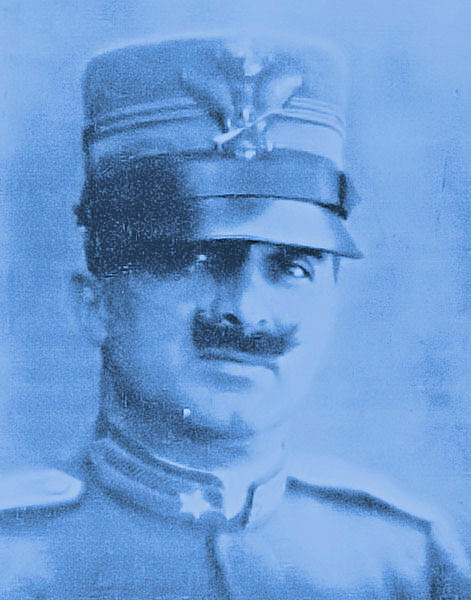 In his Tanks in the Great War, Fuller wrote that the 15 September attack was "from the point of view of tank operations, not a great success." He, too, argued that the silver lining in the tanks' poor showing at Flers-Courcelette was that the battle served as a field test to hone tank tactics and design for future deployment. Although at Flers-Courcelette most of the tanks suffered mechanical breakdown or battle damage and failed to influence events, some tanks rendered valuable assistance to the infantry in surmounting German strong points, such as at the village of Flers. In any case, ever after, the tank became a valued weapon of war. 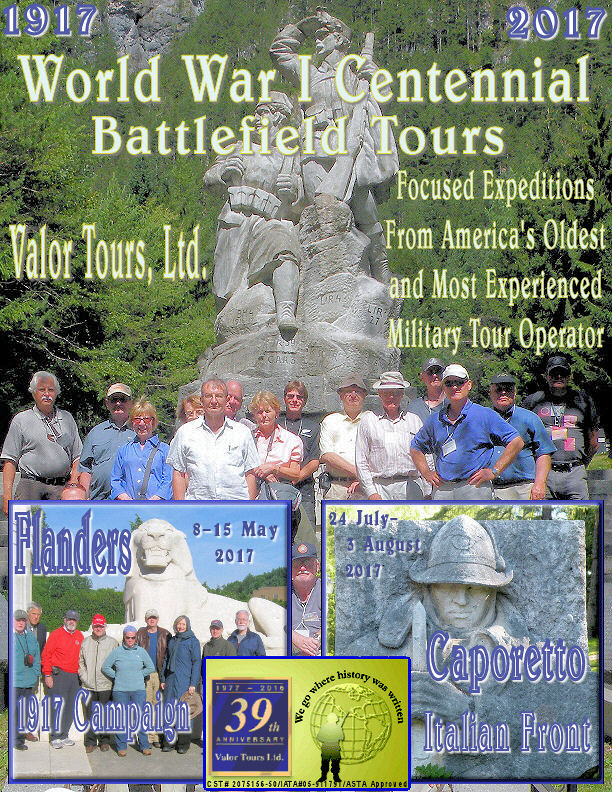 Its service in the Great War at Cambrai, Amiens, and by the AEF will be covered in future editions of the St. Mihiel Trip-Wire. On my recent tour of the Somme battlefield, we included a visit to the new museum added to the Thiepval Memorial Visitors' Center for the Centennial commemoration. The designers did a wonderful job, and we will be showing some images of their work in future issues of the Trip-Wire. 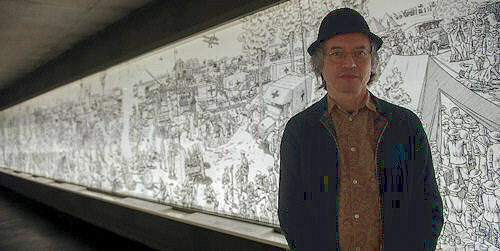 One of the key features is a large-scale presentation of Joe Sacco's 60-meter panoramic mural, The Great War: July 1, 1916: The First Day of the Battle of the Somme. If you can't travel to the Somme, I highly recommend you purchase his book, which has the entire epic cartoon in fold-out format. Sacco does an amazing job (the Economist called it "monumental") of capturing the scope and spectacular nature of war and brings to mind General Patton's quote, "Compared to war, all other forms of human endeavor shrink to insignificance." Sacco doesn't spare anything on the tragedy of the battle, either. However, there are lots of works that accurately depict the Somme in those terms. What is special here is the depiction of the breadth and complexity of a huge battle, in the manner of that often criticized film about D-Day, The Longest Day. Never, at any time during [World War I], was a death-blow struck — a blow which leaves a deep gaping wound and the feeling of imminent death. Instead both sides struck innumerable blows and inflicted many wounds; but the wounds were light ones and always had time to heal. Such wounds, while leaving the body weaker and weaker, still left the patient with the hope of living and recovering strength enough to deal to an equally weakened enemy that last pinprick capable of drawing the last drop of blood. . . There is no doubt now that half of the destruction wrought by the war would have been enough if it had been accomplished in three months instead of four years. A quarter of it would have been sufficient if it had been wrought in eight days. 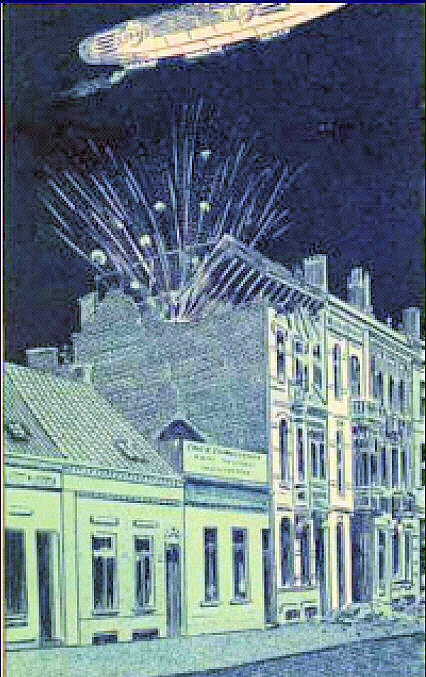 We need only envision what would go on among the civilian population of congested cities once the enemy announced that we would bomb such centers relentlessly, making no distinction between military and non-military objectives. . . The very magnitude of possible aerial offensives cries for an answer to the question, �How can we defend ourselves against them?'  To this I have always answered, �By attacking'. . . The fundamental concept governing aerial warfare is to be resigned to the damage the enemy may inflict upon us, while utilizing every means at our disposal to inflict even heavier damage upon him�. Mercifully, the decision will be quick in this kind of war, since the decisive blows will be aimed at civilians, that element of the countries at war least able to sustain them. These future wars may yet prove to be more humane than wars in the past in spite of all, because they may in the long run shed less blood. But there is no doubt that nations who find themselves unprepared to sustain them will be lost. 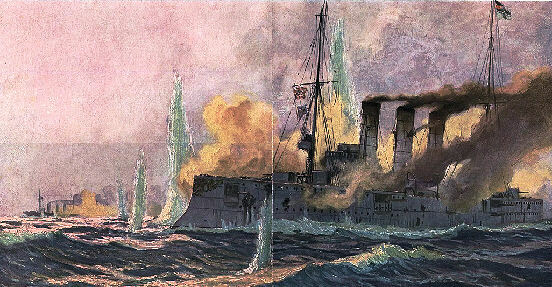 On the morning of 8 December 1914, in preparation for a dash home to Germany, Vice Admiral Maximilian Graf von Spee was advancing his East Asian Squadron to Port Stanley in the Falkland Islands, with the objective of silencing the British communications center there. His advance ships Gneisenau and Nürnberg, however, reported a substantial British squadron re-coaling in the harbor, although their reports were unclear or misinterpreted about the presence of capital ships. 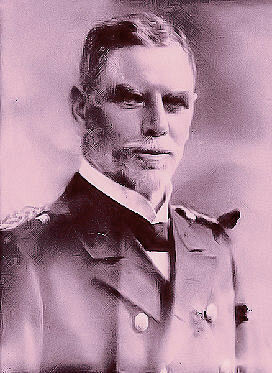 Von Spee therefore neither appreciated his opportunity to bottle up and possibly disable major ships of his enemy nor factored into his calculations that the two modern battle cruisers on the scene could run down any of his ships in open waters and fire upon him from beyond his own ships' range. He chose to decline battle under the most promising and advantageous conditions and ordered his vessels to break off contact and sail southeast at full speed. It was both a missed opportunity and doomed escape. He lost his squadron, both his sons, and his own life.